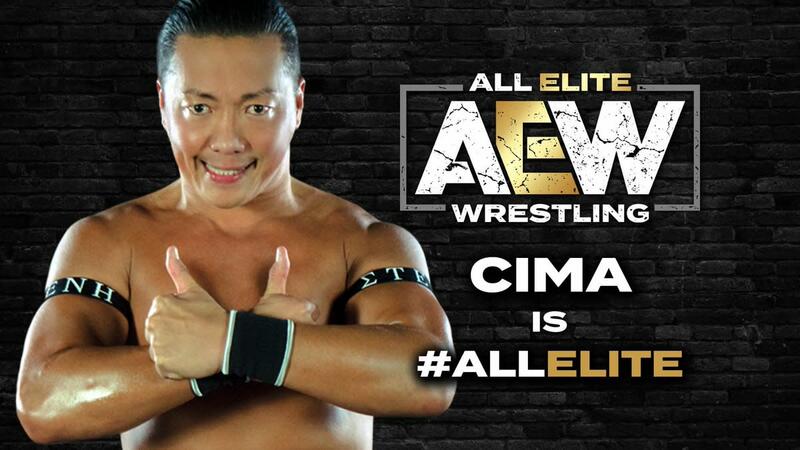 On this week's episode of Being the Elite, it was announced that CIMA has signed a full-time contract with AEW. The announcement was made by The Young Bucks, who said they want to work with people who have helped them along the way. The Young Bucks credited CIMA for giving them their first big break in pro wrestling by booking them in Dragon Gate after seeing them in PWG early in their careers. CIMA and two partners from China's Oriental Wrestling Entertainment will face SoCal Uncensored (Christopher Daniels, Frankie Kazarian & Scorpio Sky) in a six-man tag match at Double or Nothing in Las Vegas on May 25. AEW's partnership with OWE was announced at January's Double or Nothing rally, with Matt Jackson saying that AEW would be bringing in CIMA's Strong Hearts group. CIMA then made an appearance at February's ticket announcement party for Double or Nothing.